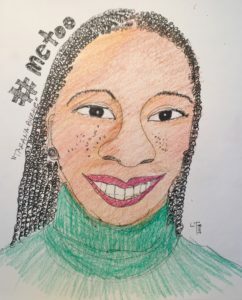 Activist and writer Tarana Burke is the creator of #MeToo and founder of a movement ‘to radicalize the notion of mass healing… we as a people do not do enough to address healing and connection’. She states in a CNN video that this movement was founded for black and native women and based on her personal story. To ignore the fact that MeToo, which was founded for women who voices had been censored on sexual harassment, is to miss the purpose of the organization. Ms Burke wants these women to know they are heard. She is concerned about the present day climate of name-calling, sexism, and racism drowning out the real reason for the MeToo movement and voices of marginalized women. Her work was started over a decade ago and ‘the message has not changed’. She noted that sexual harassment knows no color and that today’s recognition of this fact (Time Magazine cover of the year for 2017) makes it especially important certain groups of women are not overlooked. Women have experienced sexual harassment almost as a matter of course throughout this nation, at work, at home, everywhere. Think of the times as a child growing up, in school, and at work. No matter what level, Tarana Burke has been reluctant to keep speaking about her painful experiences. Nevertheless, she lifts all of us up because she felt passionate enough to create a platform for her peers and thus for all women to stand on. From Hollywood to Congress to the workplace, to the home we now have her work to keep this cause in the forefront. Thank you protagonist.